Convalidation or "Getting your marriage blessed"
Like others in our parishes, you may be wondering if your marriage is fully recognized by The Catholic Church. The Canon Law of the Catholic Church ordinarily requires baptized Roman Catholics to marry in the presence of a priest or deacon. 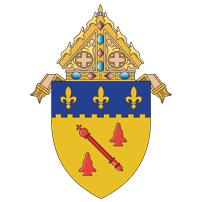 Unless the Catholic party has received a "dispensation from canonical form," which is a formal request granted by the bishop, a Catholic who exchanges vows in the presence of the minister of another religious tradition or a civil official is not considered validly married in the Catholic Church. No matter what has taken place in the past, we in the TriParishes invite you to consider having your marriage convalidated, meaning that it will be valid in the eyes of the Catholic Church. This is sometimes colloquially referred to as "having a marriage blessed". For more information on having your wedding convalidated by the Church please see this resource from the United States Conference of Catholic Bishops.